Today marks the birthday of a dear old friend of mine. He died a long time ago, but he left an indelible mark on me and on countless others. It could be said that there was no greater thinker of his time; some might even suggest there has been no greater thinker since. He is missed, but through his writings and those who have studied him, like me, he lives on. Yes, today marks the 500th birthday of the Frenchman born Jean Cauvin. We know him better by his anglicized name: John Calvin. That those whom God calls and chooses as his own are his forever. These five tenets are all biblically defensible, though not always palatable. Truth is not always easy to swallow. 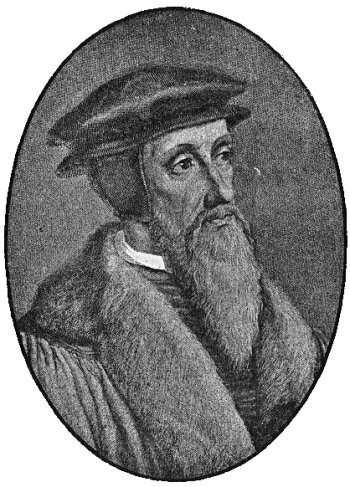 I celebrate the life and work of Calvin not simply because I affiliate myself with Presbyterianism, which he, through John Knox, founded as a denominational expression of Christianity. I celebrate Calvin because he reminded us all that no matter what may happen in this world, God is in charge. That is, he is “sovereign”. And he has a plan for his people – a plan to prosper and not to harm, to bring a hope and a future (see Jeremiah 29.11). I celebrate Calvin because he reminded us all that God’s grace – his unmerited love and favour – is greater than our sin. “He has removed our sins as far from us as the east is from the west” (Psalm 103.12, NLT). I celebrate Calvin because in his preaching and teaching ministry, he sought to excite the hearts and minds of people with the Word of God. He knew that the best way to captivate people with the majesty of God was to fill their hearts with the Word of God. This was the legacy of both his preaching and his writing, for Calvin left not only his mammoth Institutes of the Christian Religion (which are worth the read, by the way), he also left commentaries on virtually every book of the Bible. Calvin wasn’t an ivory tower theologian; he was a pastor who met people where they were with an understanding of Scripture that built people up and convinced them of the glory of God. I don’t pretend to be a thinker like Calvin. But I do aspire, like my 500-year-old friend, to captivate people with the majesty of God – and the knowledge that his love never fails. Happy birthday, John Calvin. Thanks be to God for your legacy.